The area now making up the state of New Jersey was first inhabited by Native American tribes for more than ten thousand years prior to the exploration of the New World by Europeans. The principal Native American tribe was the Lenni Lenape, translated either as "original people" or "true men" and considered to be part of the larger Algonquin tribe. 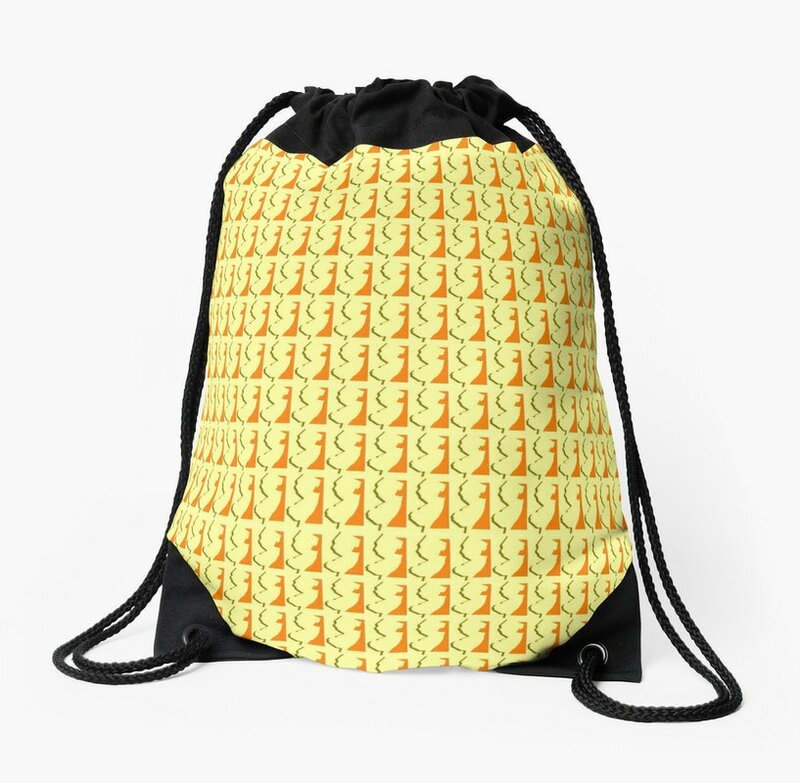 Later, they also became called by the new settlers, along with other tribes, as the "Delaware," the name adopted in 1610 by the English for the Delaware Bay and the Delaware River in honor of Sir Thomas West, Lord De La Warr, the governor of Virginia. Occupying the area from the Delaware Bay north to the headwaters of the Delaware River, the Lenape, estimated to number perhaps 20,000 around 1600, had no central political authority; within the tribe there were smaller groups with differing names usually distinguished by varying dialects they used of the parent Munsee language, such as the "Unami" along the Delaware River and the "Unalachtigo" spoken by tribes to the east and north in what is today Salem, Cumberland, and Cape May counties. 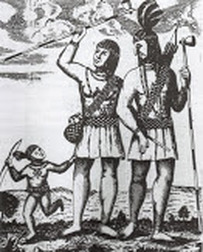 Although the Lenape were known as relatively peaceful tribes who were sometimes called upon by other tribes to mediate or judge disputes, they nonetheless occasionally resorted to violence. Most of these conflicts were provoked by incursions into Lenape territory by other tribes, such as the Mohawk to their north and the Susquehannock to the west. 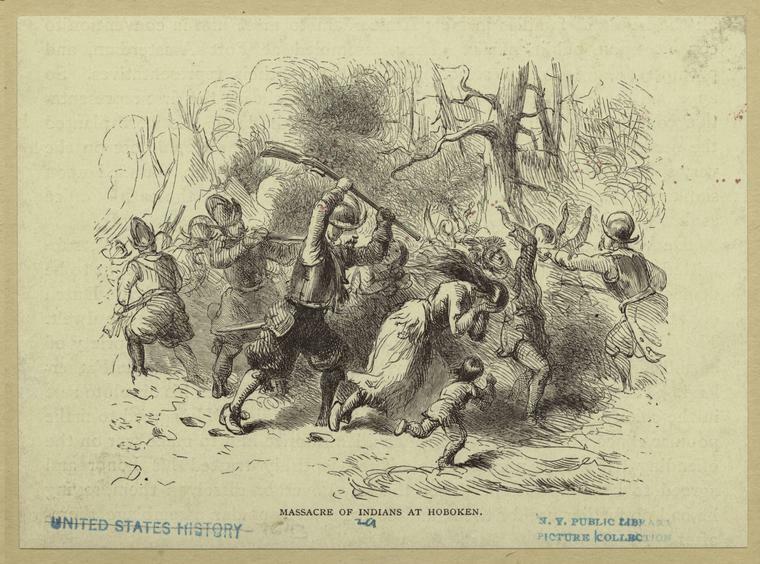 Between 1630 and 1635, the Susquehannock, for example, attacked Lenape villages in southeastern Pennsylvania, forcing many Lenape to escape across the Delaware River into New Jersey. As European explorers and settlers increasingly entered their traditional lands, the Lenape would face a series of new challenges. These incidents included the "Pig War" of 1640 where the Dutch governor of Nieuw Amsterdam, Willem Kieft, ordered the extermination of the Raritan tribe of Lenape then on Staten Island, with the Raritans retreating west into New Jersey; the "Whisky War" of 1642 where the Hackensack tribe in current Bergen County was attacked and, most notoriously, the "Pavonia Massacre" on February 25, 1643, when the Dutch under Kieft made a surprise night attack on the sleeping Wecquaesgeek villages, killing 80 at Pavonia (current Jersey City), with Dutch soldiers reportedly bringing the heads of their victims back to Fort Amsterdam for use in a kickball game. Apart from armed conflicts, a more devastating blow to the Lenape population came through the rapid spread of contagious disease, particularly smallpox, resulting from their contacts with Europeans. As their numbers fell, the remaining Lenape gradually developed accommodations with the new white settlers over land claims, and attempted to create trading relationships to maintain their traditional pursuit of trapping. The Lenape sold some of their northern New Jersey lands to the English in 1673 and 1681, but the English also often took land without paying. The Lenapes also had no concept of the ownership of land, and often believed that the transactions they entered simply allowed concurrent use of the land, thus leading to confusion and misunderstandings. In 1758, at the urging of the Reverend John Brainerd, a minister and missionary who had established a school for Lenape children and sought to convert them to Christianity, New Jersey became the first colony to establish an Indian reservation at Brotherton in Burlington County, but there were only a few hundred Indians remaining and only 200 came to live at the reservation. Brainerd organized the reservation and helped the residents to set up grist and sawmills, which led to naming of the nearby village as Indian Mills. But conditions steadily deteriorated after Brainerd became ill and left Brotherton in 1777 to return to his native Connecticut where he died in 1781. In 1796, the Oneida tribe in New Stockbridge in New York State invited the Brotherton tribe to come to live with them an invitation later accepted by the remaining 85 tribe members, who received partial payment in 1801 from the New Jersey Assembly for the sale of the reservation. In 1802, the last Brotherton chief, Elisha Ahhataina (Lashar Tamar), led twelve rented wagons conveying te tribe and their possessions to join the Oneidas in New York. A few of the tribe chose to stay in New Jersey, residing in local communities of South Jersey and some moving north o the hills of North Jersey and Pennsylvania. Chief Tamar stayed for a time with the Oneidas in New York, but eventually returned to New Jersey and settled on the Woolman farm near the town of Rancocas. In 1832, the New Jersey Legislature appropriated $3,551.23 to pay the remaining Brotherton Indians for the balance of the money from the sale of the Brotherton Reservation; some 40 members of the tribe who had moved to New York then resettled in Statesburg, Wisconsin. 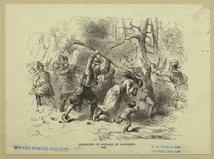 Later, some of the tribe moved on to join with the Cherokees and Osages, west of the Mississippi. Some later went to "Indian territory," now Oklahoma, and others emigrated to Canada.